The listed Georgian hall is surrounded by 12 acres of rolling park and woodland for guests to explore. Explore chocolate-box Upton St Leonards, step back in time at Painswick Rococo Garden, or clamber up escarpments in the nearby Cotswolds. When you have had your fill of rural calm venture into Gloucester, with its rejuvenated docks, Antique Market and Folk Museum just three miles away. Rolling hills and idyllic villages define the Cotswolds. Take leisurely visits to quintessentially English towns with fairy-tale names like Stow-on-the-Wold and Moreton-in-Marsh. You'll also find thatched cottages, twisting footpaths and historic landmarks like Blenheim Palace (birthplace of Winston Churchill), Jane Austen's home and Gloucester Cathedral. The spa town of Cheltenham, with its Regency architecture, makes a good base for exploring. Painswick Rococo Garden was designed in the 1740s as a flamboyant pleasure garden for Benjamin Hyett to entertain his guests. This was a time when gardens were fashionable theatrical sets, providing a stunning backdrop to decadent garden parties. Instead of a flower garden, you will happen across a stunning vegetable garden, beautifully-framed views of the surrounding countryside and fanciful garden buildings. You can lose yourself amongst the lofty trees of the leafy woodland walk and watch friends and family battle to find the centre of our unusual maze. And afterwards, enjoy delicious homemade cakes or a light lunch in the cosy cafe on site. One of the oldest-established museums dedicated to social history. 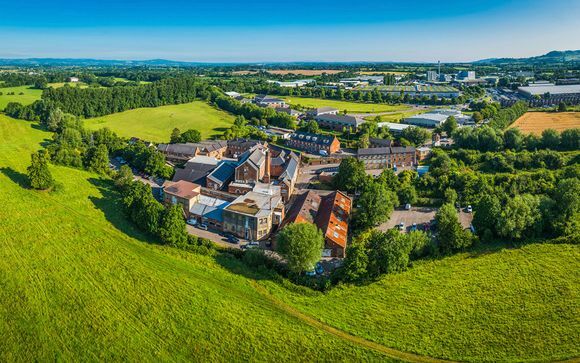 The collections have been drawn together mainly through gifts from the entire county of Gloucestershire, and represent one of the most fascinating collections of such material. Set in 500 year old Tudor timber-framed buildings, one of which was traditionally associated with the final night of the Protestant martyr, Bishop Hooper, the Folk Museum is a complex of rooms on different levels with a unique ambiance that makes it a popular sight for locals and visitors. Behind the chocolate-box facade is a museum with a cottage garden to the rear which is both larger than seems possible, and constantly surprising. 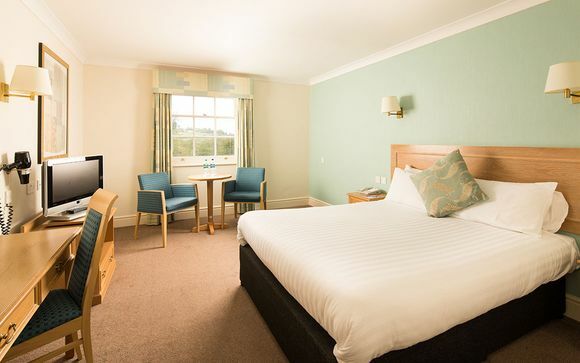 This elegant Gloucester hotel is just 3 miles from Gloucester railway station and the Cotswolds. Complimentary high speed WiFi is available in the 72 contemporary guest rooms and throughout the hotel. Try the sophisticated cuisine at Dearmans Restaurant, which also serves afternoon tea. Conveniently, the Café Bar is open 24-hours. Classic bedroom is equipped with 1 sumptuous double bed, flat screen TV, complimentary high speed WiFi, en suite bathroom with complimentary toiletries and tea/coffee making facilities. The room also comes with a full length mirror, hair dryer and work desk. This offer is based on a bed and breakfast stay. Guests can enjoy a full English Breakfast daily. Just for you: complimentary dinner on the first night and Afternoon Tea for two. Soak up the atmosphere in the elegant restaurant whilst enjoying inspiring views over the surrounding area. Choose from a diverse collection of mouth-watering dishes prepared using fresh ingredients and locally-sourced produce. To complement your meal, choose from a selection of fine wines; from Australia to Italy there's something to suit every palate. Finally, indulge in a delicious dessert before sitting back, relaxing and allowing the experienced and helpful restaurant team to provide you with everything you need. Once you have left the M5, you will join the A417. From the A417, take the first slip road off to join a large roundabout. Turn right at the roundabout (A46 to Stroud). At the next roundabout (where there is a petrol station), go straight over. Continue for approximately 1 mile. Take the first right turning that is signposted “Upton St Leonards”. Take the first right and you will see the hotel coming up on your right.